Her: Why don’t nobody like me? Her: I’m never “the ONE” and I’m the one that always gets left. That’s a conversation I had with a sister-friend via text recently. Once I read her last sentence, I stopped what I was doing and gave her a call. She was in tears on the other end pouring her heart out to me about a guy she’s into who’s not into her. Apparently she thought they were moving in the direction of closing the deal on a relationship, however, he told her he was pursuing another woman. Ouch! Me: Why are you mad at God? Yourself? I know that verse well. Her: I’ve kept my end of the “deal” and I let this man upset me so bad that I have to force myself to eat. I’ve lost 3 pounds since yesterday. Me: Keeping up your end of the deal does not speed up Gods timing. Tons of Christian single women feel just like her. I attend church every Sunday, I’m busier than a bee involved in all kinds of ministries, I’m celibate and waiting until marriage or better yet I’m a virgin. Tithing is what I do and on top of that, I also give a very generous offering. Reading my Bible is an everyday occurrence and I’m all set up to read the entire Bible through in 2018. 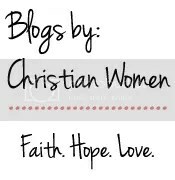 I’m basically doing everything a good Christian girl is supposed to do and still no husband? Dear single lady, God never made a deal with you. He never said if you do this, this and this then I will give you what you want when you want it. That’s not how it works. Serving God is not about what he will do for us. Serving God is about what he has already done. God requires our obedience even if he never delivers a tall, dark and handsome man dipped in dark chocolate to our doorstep. The verse in Psalm 37:4 trips up a lot of single women. Yes, God will give us the desires of our heart, he doesn’t lie, however, the desires of our heart need to fall in line with his plan for our lives. 1. Tell God how you feel. He already knows you’re mad at him, however, he still wants you to spill your guts to him and tell him you feel in the same way you told me. Pouring your heart out to him then waiting to hear him speak to you creates a deep level of intimacy between you and him. Intimacy with him is what you need more than anything else. 2. Know that God has a better plan beyond what you can see. I know you can’t see it now but God has a purpose and a plan for everything we go through and he always has something better in store. Trust him. 3. Get involved in the lives of others like I did here. While I’m not mad at God, I can tell you for sure that when we throw ourselves into the lives of others in a genuine way, we have zero time to focus on what we think is not working in our lives. Everything, the good, the bad and the ugly are all working together for our good and we just have to know it in spite of how we feel or how it looks. What say you? Have you ever been mad at God? Was there ever a time where you felt you kept up your end of the deal and God didn’t? Any advice for my sister-friend? What an encouraging truth for all of us! Sometimes it’s hard to remember to delight ourselves in God and understand what it means for Him to give us the desires of our heart. Knowing that when we truly delight in Him our desires align with His makes all the difference! Yes, Yvonne. I can relate, that is to your concern for your single friend and her perspective about God. I have a couple of single friends and they have a hard time waiting on God’s timing and go through seasons of doubt as to whether He will ever give them the “desires of their hearts” as you mentioned. So I love the way you’ve answered this. I’ll be sharing! Merry Christmas to you, my friend! As I read your comment, Isaiah 55:8-9 came to mind; “For my thoughts are not your thoughts neither are your ways my ways declares the Lord. For as the heavens are higher than the earth, so are my ways higher than your ways and my thoughts than your thoughts. Merry Christmas to you Beth. Great post, Yvonne! Lot’s of truth here. I’m sure many singles can relate to your friend’s feelings. But so can those of us who are married. It’s so easy to fall into the if I do A, B, & C, I can expect God to do “D” (whatever it is I want or expect) trap. Thanks for speaking the truth in love as you always do. December blessings! Thanks for adding the married person point of view. Whether married or single, it’s a trap we need to avoid. December blessings and a Merry Christmas to you Donna. What a great reminder for us all, to be obedient regardless. The Lord will never fail to give us good gifts. God is so faithful. If only we would just trust him in the same way a little child trusts their parent. He has never failed me yet and I know he never will. Merry Christmas to you Alecia. There’s truth for this old married lady’s heart here, Yvonne. Whether God does what I want or acts in the ways I “expect” he is still God — and I’m not. Amen to this: God is still God whether he acts in ways I expect or does what I want when I want. He knows best! Merry Christmas to you Michele. I like that you gave the definition of delight, and that it is NOT “follow the rules” or such like. If we are truly finding our satisfaction and contentment and joy, gladness, and pleasure in Him, then we cannot at the same time be pining over what we do NOT have. Shared. God doesn’t owe us a thing. But He delights in us and delights to give. I can be confident in such a Father. That’s right. God delights in us and delights to give. Thanks for sharing. What a delightful addition to Literacy Musing Mondays. I am married but I was still able to get something out of this. This verse is what my blog is based on, yet I see where I am falling short in the area of delight. Grateful to know a married woman was able to glean something from this single woman. To God be the glory. Merry Christmas to you!